The objective for the authority is to maintain the existing structures and drainage asset to a level of condition that enables them to function effectively and eliminate the backlog of repairs to ensure that the asset is managed in the most cost effective way. The main infrastructure of Milton Keynes 'new town' was constructed between 1969 and 1994 during this time the road network was installed to create our unique 'Grid Road' system and modular grid square estates. As part of the construction of this network the roads needed to cross existing watercourses. canals, rail lines, trunk roads, motorways and changes in level in the land. All of the structures were designed and constructed by the 'Milton Keynes Development Corporation' in accordance with standards current at the time, many of these bridges and structures are approaching 50 years old. The existing structures outside of the designated 'new town' are in place to mainly cross watercourses and in some cases the M1 motorway, some of these structures are of historical importance and designated as scheduled ancient monuments such as 'Tyringham Bridge'. 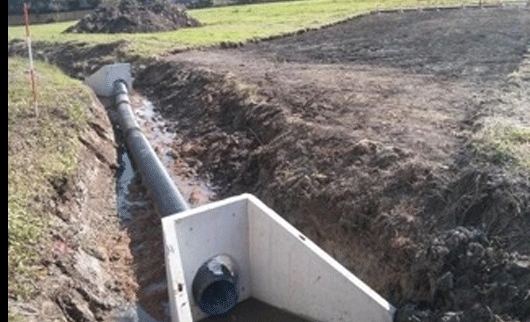 We also construct and maintain features that contribute to effective drainage and provide flood protection these take the form of culverts and flood defence bunds/attenuation storage. The detailed approach to Structures and Drainage is outlined in their respective lifecycle plans.